Coker Tire Company offers classic style and modern performance with BF Goodrich Silvertown Radial Wide Whites. 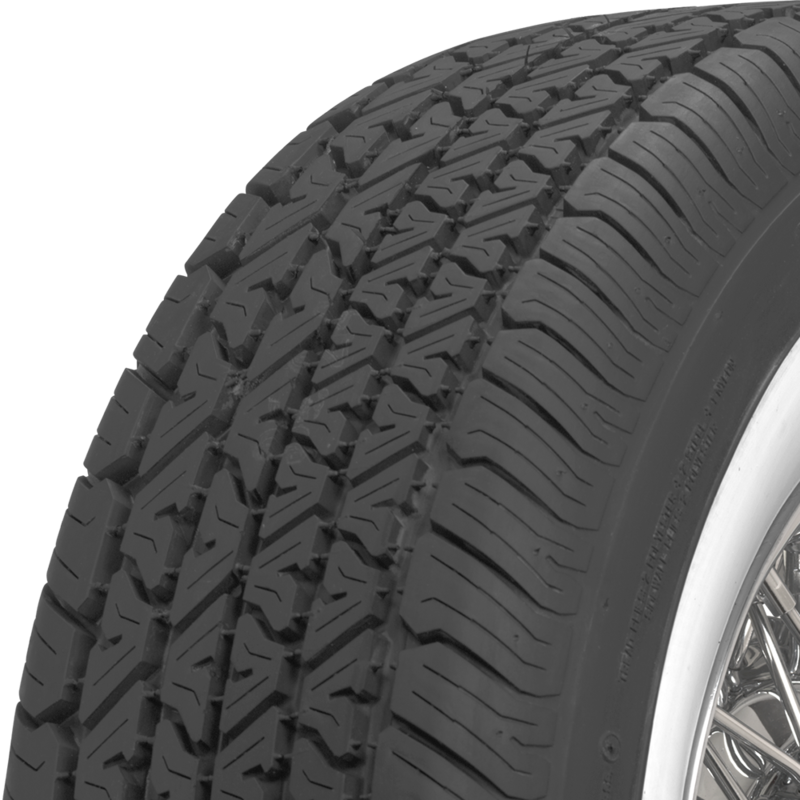 These tires are perfect for classic car restorations, thanks to a tall sidewall and a stylish, all season tread design. 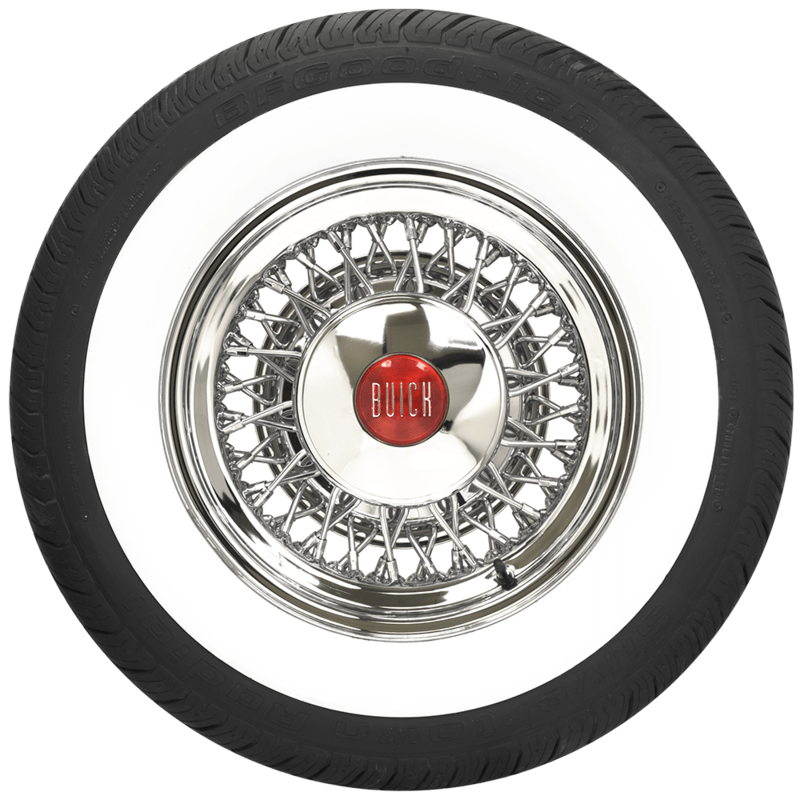 BF Goodrich Silvertown Radials are also great for street rods and customs, with a wide range of sizing options. With sizes to fit 13-, 14- and 15-inch wheels, the BF Goodrich Silvertown Radial line offers classic styling for many applications. 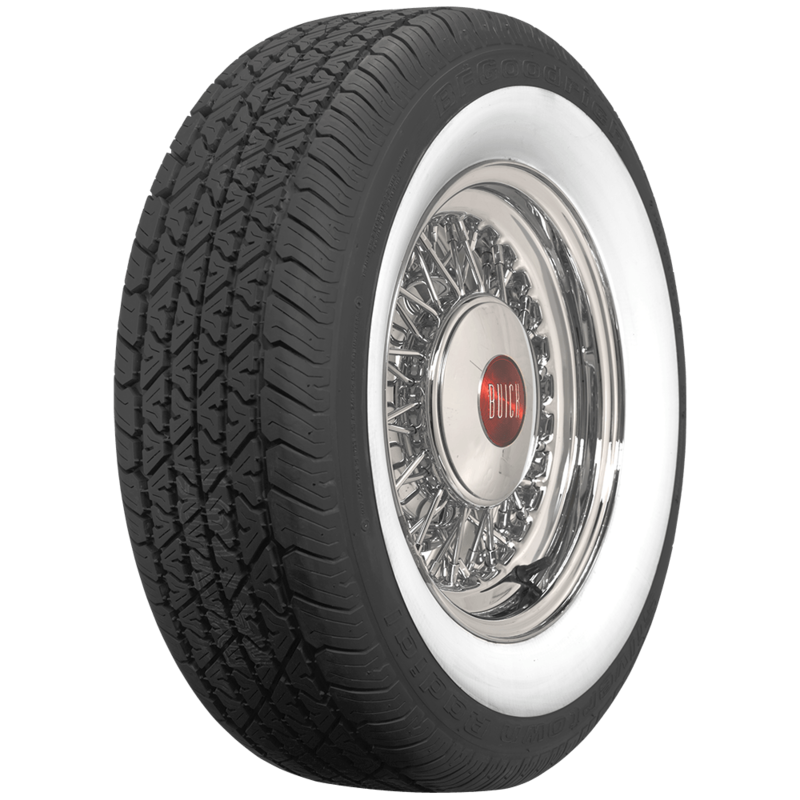 All BF Goodrich Silvertown Radials are true whitewall radials, meaning that the whitewall is built into the tire from day one. 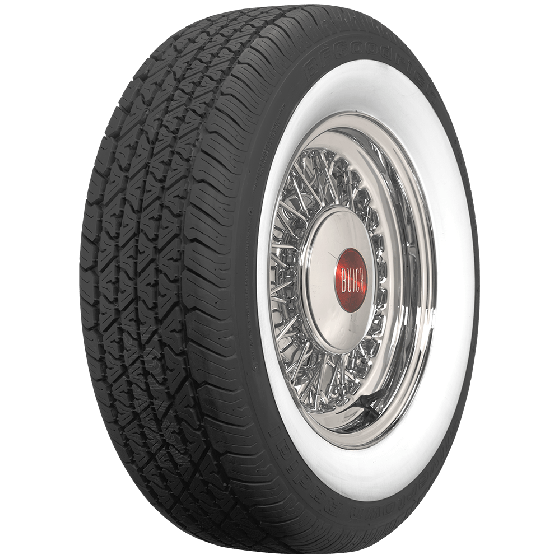 These BF Goodrich Whitewall tires are DOT and ECE (European Community) approved, and they're backed by Coker Tire Company's Life of the Tread warranty. Find the right combination for your ride, and hit the road with the style and comfort that only a whitewall radial tire can provide! The BF Goodrich whitewall radial tires do not have this raised edge. The whitewall is flush with the outer, black rubber area of the tire. Was wondering what tires you have in s 165/60r14 and in the same tire a 235/70r15. Please contact us for assistance at 1-800-251-6336, or support@coker.com. DO YOU OFFER A 225/55R17 WITH A WHITE WALL WIDER THAN 1.5 INCH? The 1 1/2" whitewall is the only width offered on the 225/55R17 size tire.